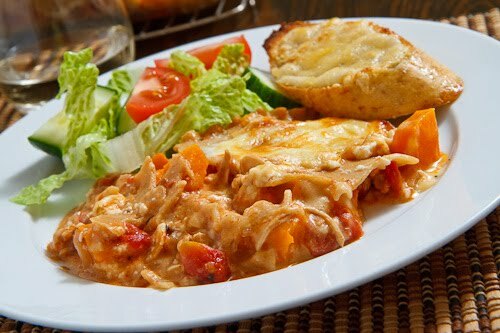 Chicken lasagna is on the cards today, so hello to all those follow home cooking chefs here on the East coast of Africa and around this beautiful world we live in. How many of you get a craving now and again for a delicious Pasta dish, I do so today I'm going to share this easy to make a Chicken Lasagna recipe with you using smoked chicken. For this Chicken lasagna recipe we going to need the following ingredients. 5 ml or1 tsp of Olive oil. 750 bought cheese sauce (see recipe below on how to make your own cheese sauce). 50 gr crumbled blue cheese. 125 ml (½ cup) mature grated cheddar cheese. Syrup of a jar preserved figs. 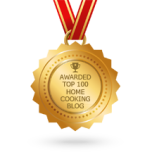 METHOD FOR HOMEMADE CHEESE SAUCE. Bring 500 ml (2 cups)the milk to the boil over low heat. Mix 50ml cornflower with a little milk until corn flower has dissolved. Stir cornflower into milk and bring to boil again, stirring continuously. Take care not to burn milk. Taste, and once you can't taste the cornflower anymore remove from heat. Add 70g. grated cheddar cheese to the milk stir until cheese has dissolved. Season with salt and pepper. P.S.. I always like adding a pinch of Paprika. Great we now we have all the ingredients for our Chicken Lasagna. It's time to "Start A Cooking"
Pre heat oven to 180°c and grease a 30 x15 cm Oven proof dish. Put the lasagna sheets in a separate dish taking care they do not overlap and cover with boiling water (do not cook) leave in the hot water till pliable. Using a frying pan add the oil and fry onions until translucent. Add the shredded chicken and stir fry for4-5 minutes. In your oven proof dish spread a layer of the cheese sauce, followed by sheet of pasta, chicken, crumbled Blue cheese and drizzle with about 5 ml (1tsp) fig syrup. Repeat ending with cheese sauce. Garnish with the preserved figs. 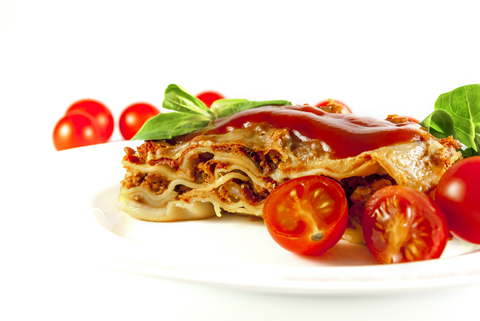 Great you have just completed a tasty smoked Chicken Lasagna. Any green salad i.e. French, Portuguese or Italian. Just on its own accompanied by a glass of Dry wine either a White or Red the choice is yours.